Theme Yard is proud to release ZoneOne vBulletin 4 skin. ZoneOne features 5 total colors ( Blue, Green, Orange, Red & Pink ) with each color featuring both ( Fixed & Fluid ). 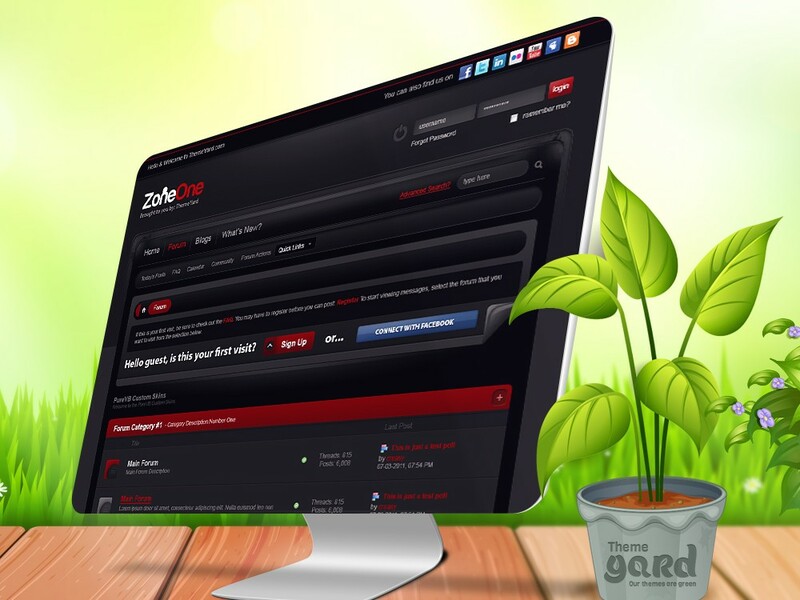 ZoneOne is a very unique, dark styled theme that is guaranteed to leave a long lasting impression on any community running the vBulletin 4 software. Does this ZoneOne support vBulletin 4 & 5? Currently ZoneOne supports only vBulletin 4. Send in your request to get ZoneOne updated to vBulletin 5. Does ZoneOne work with Right to Left (RTL) Forums?